Born in Tanzania in 1955, Nagib Karsan spent his childhood years in Africa and boarding school in the UK. Enjoying art from an early age he undertook a six-month course in Kenya before embarking on a varied career in business. In the late 1990’s he found time to rediscover his interest in art and explored a wide variety of mixed media and techniques. Nagib Karsan found inspiration in the work of Frank Webb, in the style of design impressionism, mostly in watercolour. 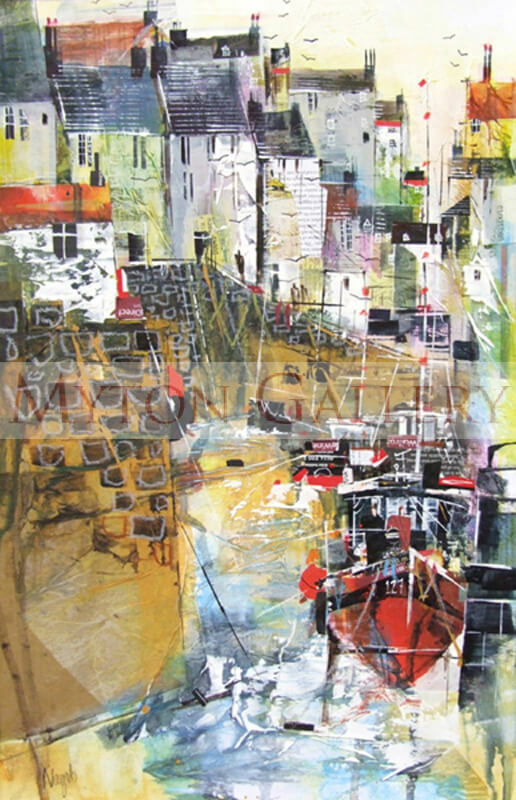 He is now painting regularly and uses an unusual technique by first applying a collage of printed cut paper to the image surface before and during the application of the paint. This creates a most unusual and unique finish that is so much a part of his trademark. Nagib Karsan is a member of several art societies and his work can be found in many collections throughout the UK.